People have been anxious to find out what the overall plans are for Telltale’s The Walking Dead ever since Skybound Games took over the IP. Today, the company gave a slight update to it all, and while there are no official dates or storyline information, they did give some heads up as to the challenge that lay in front of them. We also learned that Episode 3, originally slated to be released before the end of 2018, has been delayed. Thank you for your patience while we worked with Telltale to take control of Telltale’s The Walking Dead. It’s been a ton of work logistically and legally to get us to a place where we’re able to roll up our sleeves and get to the actual work. 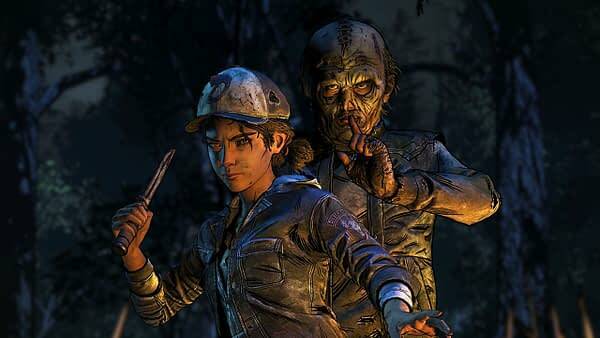 After Telltale had to stop development on The Walking Dead, the game was, unfortunately, unable to be worked on and hence the release dates of Episodes 3 and 4 have been delayed. But, we’re excited to let you know that many of the talented, passionate team members who originally worked on the game are resuming development efforts today! Soon, we will be announcing release dates for the two remaining episodes. It’s likely that previous seasons of the game may be unavailable to purchase for a few days as we transition—but don’t panic!—we’ll have everything back online ASAP. If you already purchased Season Four, you will NOT have to pay again; future episodes will be available to download as soon as they are released via your original point of purchase.